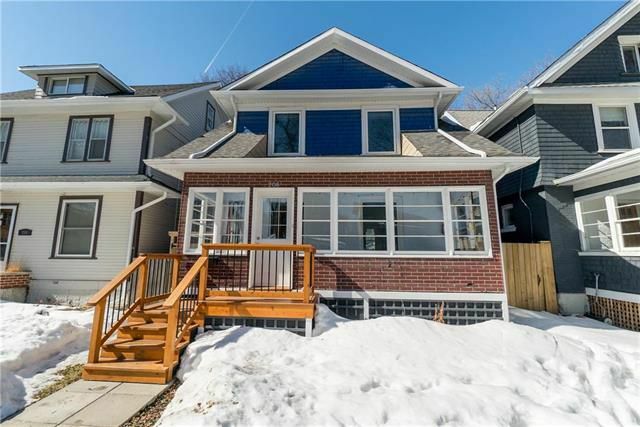 || NEW PRICE $339,900 || This 1,498 sqft 3 bed, 1 bath character home is an absolute gem! Super charming w/lots of original character, paired w/modern updates you'll love! Bright East/West exposure allows lots of natural light to flow freely throughout the main floor. Walk-in pantry just off the kitchen is a huge bonus for storage! Up the stunning wooden staircase you'll find a HUGE master bedrm w/ample closet storage, and two other good sized bedrms down the hall. Nicely updated 4-piece bathrm has brand new vinyl flooring. Full bsmt has great ceiling height and spray foam insulation '11. Your fully fenced backyard features a newly built 16'x22' Single Garage '15; what a treat! UPDATES: Nest thermostat, Furnace '09, Most Windows '10-14, A/C '11, Insulation '11-12, Panel '12, Teleposts '13, Fence '16, Shingles '16, Soffits & Facia '17, HWT '17 (rented), Electrical '18. Move in ready! SHOWS A++ || WATCH THE VIDEO TOUR || Offers as Received. Between Portage Ave & Westminster Ave.
MB reading light, tyndall stone decor in garden + some plants.